Not all keyboards are 'QWERTY' and not all keyboards and mice are clean. Now, I'm not casting aspersions at your computer hygiene... but have you ever had to use someone else's equipment (hotel, café). This App makes those problems a thing of the past by making your iPad into a keyboard for a PC or Mac. Like most really useful Apps, the interface is brilliantly simple. The first step is to download an App onto 'your' Mac or PC. Installation is very straightforward; all you need do is choose whether or not you want to protect use of the remote keyboard with a password. Having done that, start the App and you will see your desktop device listed (there could of course be more than one). ... or even create a custom layout. And now use your iPad as a keyboard and mouse for your PC or Mac; it really is that simple. There is a free version for the iPhone which is Add supported and can be cleaned by a modest in-App purchase. The iPad version (reviewed here) only costs $2.00. It can be argued that if you have a desktop computer you already have a keyboard, and anywhere that offers you the use of a PC also gives access to keyboard and mouse; incontrovertibly true. Spill coffee on your keyboard or run out of battery power for your input device and you would kill for this App. In my case the App, and seemingly more importantly, the PC server side installed first time, and worked immediately. The developer does however ask that, should you encounter any installation problems, you send them an email. They will in turn attempt to rectify the problem. I would urge you, if needed, to follow this advice. There is a theoretical risk of your data being intercepted as it is typed however, this remote risk is inherent in all keyboard entry. You can get Air Keyboard here and support for the App here. • Command sequences. Now you can bind a sequence of commands to a button. Sequence can contain keyboard events, mouse movements, mouse clicks, scroll commands and delays. It could be useful when an application requires a set of keyboard shortcuts to be pressed in order to run some action. This feature works only if TCP connection is established, so make sure that you are using the latest version of the server and firewall is properly configured. The developer advises that there has been an update to version 3.1 of the App. The developer advises that there has been an update to version 3.3 of the App. The developer advises that there has been an update to version 3.4 of the App. The developer advises that there has been an update to version 3.5.2 of the App. The developer advises that there has been an update to version 3.5.3 of the App. Air Keyboard can be started externally or from Safari using airkeyboard:// schema. 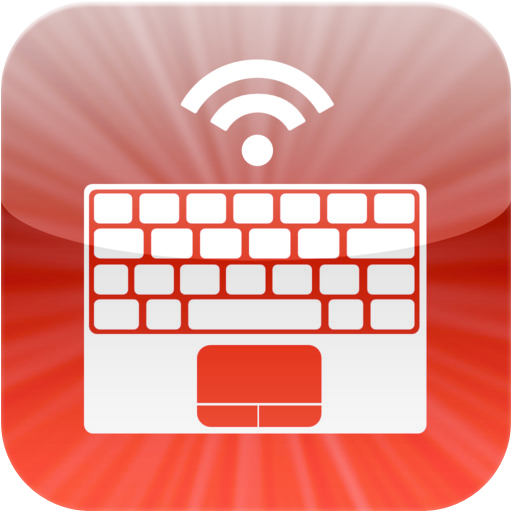 I don’t think I will ever spend money on a wireless keyboard again thanks to this app! The app works really well, so well that I might almost prefer this over my regular wireless keyboard. Give this app a try today, you won’t regret it!